When making updates to your home, you want to feel assured that the improvements you are making will maximize the return on the sale. 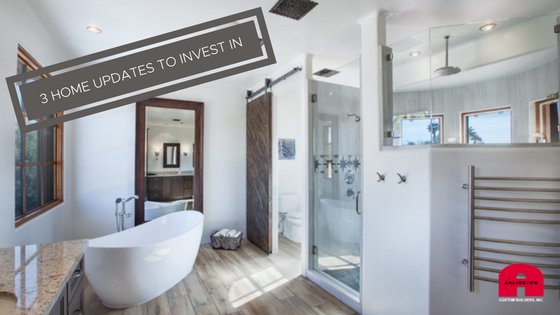 Out of the hundreds of renovations you can make to a home, we highlighted only 3 below with the average return on resale (source: HGTV). A kitchen is often the heart of the home! It is a place where everyone gathers multiple times throughout the day. This is a space that can really shine and get you a large return at resale. In many cases, it is worth it to spend extra to do a full remodel. Did you know a sunroom counts in the home’s square footage only when the room is heated and cooled for year-round use. If your home is feeling a little cramped and you have the room to expand, a family room addition is a great option!